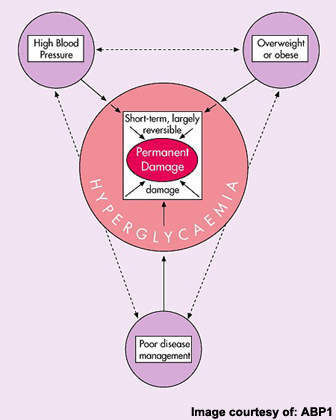 Raised blood pressure and obesity are features common to people who develop type 2 diabetes. Novo Nordisk’s repaglinide (NovoNorm) is an oral antidiabetic agent for the treatment of type 2 diabetes in patients who uncontrolled by diet and exercise. 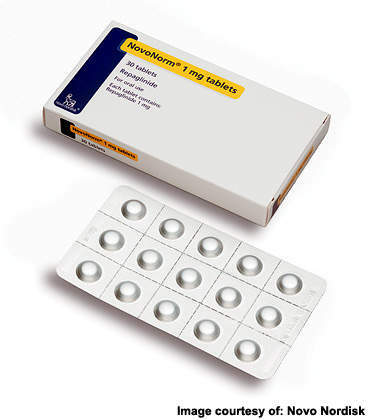 Liraglutide is an antidiabetic drug manufactured by Novo Nordisk. It is a member of a new class of antidiabetic medications called GLP-1 analogues. These mirror the effects of naturally produced glucagon-like peptide-1 (GLP-1), which includes glucose-dependent stimulation of insulin secretion, suppression of glucagon secretion, reduction of appetite and delay of food absorption. 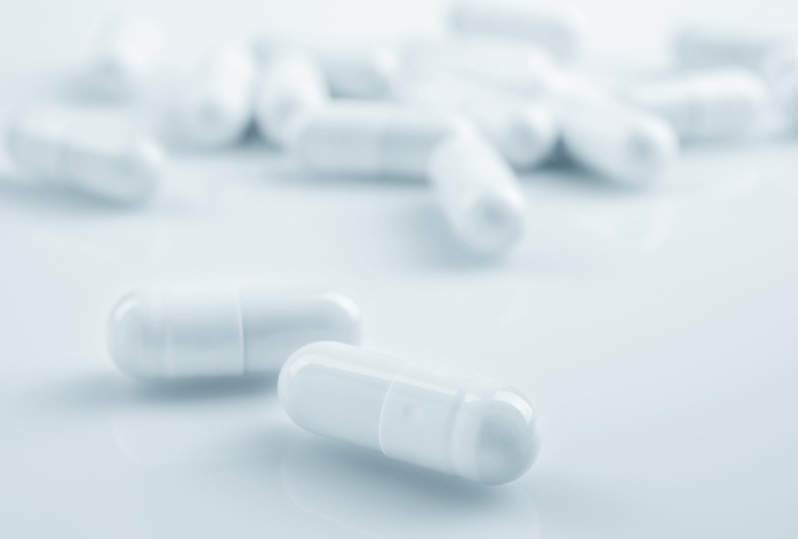 Based primarily on data from the LEAD Phase III trials, in May 2008 the company submitted a New Drug Application (NDA) to regulatory authorities in the US and Europe. Somewhat earlier than expected, filling subsequently followed in Japan in July 2008. In April 2009, a US Food and Drug Administration (FDA) advisory committee reviewed data from animal studies and expressed concerns that the drug may cause thyroid tumours in mice and rats. Although there was no evidence that liraglutide caused cancer in humans, the committee was of the opinion that Novo Nordisk had not ruled out the possibility. The timing of liraglutide’s launch in the US depended on the completion of the FDA’s review of Novo Nordisk’s NDA. "In January 2010, the FDA approved Victoza for the treatment of type 2 diabetes in adults." However, in July 2009, the European Commission awarded marketing authorisation for Victoza (liraglutide) in 27 member countries of the EU. Victoza is the approved brand name for liraglutide in Europe. The authorisation governed treatment in combination with metformin or a sulphonylurea in patients with inadequate glycaemic control in spite of maximal tolerated dose of monotherapy with these agents. The authorisation also covered combination treatment with metformin and a sulphonylurea or metformin and a thiazolidinedione in patients with inadequate glycaemic control in spite of the therapies. Following the authorisation Novo Nordisk launched Victoza onto the UK, Germany and Denmark markets. The company launched Victoza in other European markets throughout 2009 and 2010. In January 2010, the FDA approved Victoza for the treatment of type 2 diabetes in adults. The drug has been approved as an auxiliary treatment to diet and exercise to enhance glycaemic control in adults suffering from type 2 diabetes. The approval enables the drug to be used as a monotherapy, as a second-line treatment and also in combination with other oral medications prescribed for diabetes. Victoza became commercially available in the US market within three weeks of approval in February 2010. Victoza was also approved in Japan by the Japanese Ministry of Health, Labour and Welfare in January 2010. Following the approval, Victoza became the first GLP-1 to be approved in Japan. The approval granted the use of Victoza as a monotherapy or in combination with sulphonylurea in adults suffering with type 2 diabetes. Novo Nordisk launched the drug in Japan in June 2010 after completion of price negotiations and listing on Japan’s National Health Insurance price list. Estimates from the World Health Organization indicate that worldwide more than 170 million people have diabetes, of which type 2 diabetes accounts for about 90% of all cases. Prevalence is predicted to continue growing, fuelled in particular by rising rates of obesity, which is a major risk factor for impaired glucose tolerance leading to type 2 diabetes. "GLP-1 analogues should carry a much lower risk of hypoglycaemia than many established antidiabetic medications." Although there have been important advances in the development of new therapies for type 2 diabetes, there remains a need for safe and effective antidiabetic medications. Currently available antidiabetic agents that boost insulin secretion or heighten insulin sensitivity can lead to patients developing extremely low blood glucose levels, or hypoglycaemia. Because GLP-1 analogues act to lower blood glucose only when levels are raised and not during periods of normal or low blood-glucose concentrations, they should carry a much lower risk of hypoglycaemia than many established antidiabetic medications. The clinical effectiveness of Novo Nordisk’s liraglutide was evaluated in a series of clinical trials as part of the Liraglutide Effect and Action in Diabetes, or LEAD programme, which consisted of a series of randomised, double-blind controlled studies. These trials assessed the clinical effectiveness of liraglutide in some 3,800 patients with type 2 diabetes whose blood glucose is inadequately controlled with standard oral therapies. The release of data from three of these major phase III studies suggested that the addition of liraglutide to ongoing oral antidiabetic drugs can significantly improve glycaemic control in previously uncontrolled type 2 diabetics. In LEAD 1, a trial in which 1026 patients receiving maximal dose glimepiride were subsequently randomised to treatment with liraglutide, rosiglitazone or placebo, liraglutide achieved statistically significantly better glucose control (HbA1c <7%) than rosiglitazone. In LEAD 2, in which 1026 patients receiving maximal dose metformin were subsequently randomised to treatment with liraglutide, glimepiride or placebo, the improvement in HbA1c was similar in the liraglutide and glimepiride treatment arms. In LEAD 5, a 581-patient study, the addition of liraglutide to metformin and glimepiride saw over 50% of patients achieving good glycaemic control (HbA1c <7%) with over 35% an HbA1c of <6.5%. The reduction in HbA1c achieved with liraglutide was >0.2% better than that achieved in the active comparator arm (insulin glargine), a statistically significant difference. Data from the LEAD 6 trial showed that liraglutide was significantly more effective at improving glycaemic control in patients with type 2 diabetes than exenatide, a GLP-1 mimetic administered twice daily. In this 376-patient study, patients were assigned 26-weeks’ treatment with either exenatide or liraglutide. At the end of this period, patients on exenatide were switched to liraglutide. Statistically significant improvements were seen with respect to reductions in HbA1c, fasting plasma glucose and blood pressure. These findings suggest that treatment with liraglutide is at least as good if not better than standard antidiabetic therapies. Liraglutide was a well tolerated agent, with nausea the most common treatment-emergent adverse event to occur in the trials conducted to date. Data from the LEAD clinical trials programme showed that in type 2 diabetic patients, treatment with liraglutide leads to significant weight loss. "Liraglutide was a well-tolerated agent, with nausea the most common treatment-emergent adverse event to occur in the trials conducted to date." At the end of the LEAD studies, the difference in body weight between liraglutide and insulin glargine was on average 3.5kg, and 2kg and 4kg in comparison with rosiglitazone and glimepiride respectively. These findings are encouraging given that weight gain is a well recognised drawback of many established antidiabetic medications. The potential to extend the use of liraglutide beyond diabetes to the treatment of obesity is clearly of interest, and supported by preclinical findings. In animal studies, administration of liraglutide was found to have a profound and persistent anorectic effect that resulted in weight loss. If these findings are subsequently borne out in clinical trials in obesity then the anorectic actions of liraglutide may prove important in aiding weight loss not only in obese patients with type 2 diabetes but also in obese non-diabetic patients. At present type 2 diabetic patients poorly controlled with diet plus metformin and/or sulfonylureas usually receive additional oral medications, to which insulin is sometimes added, or insulin therapy alone. GLP-1 analogues offer an alternative approach for this patient population. Analysts believe that Novo Nordisk’s liraglutide will help expand the market for GLP-1 analogues and increase treatment choice for type 2 diabetic patients. Byetta (exenatide), a drug with a similar mode of action to liraglutide, is already on the market as a treatment for type 2 diabetics inadequately controlled with standard therapies.